'...You received Christ Jesus the Lord, so walk in Him...' Col.2: 6-7. 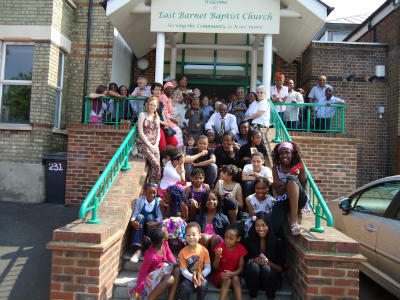 East Barnet Baptist Church is in the London Borough of Barnet, just south of J24 on the M25. We meet at 11 a.m. every Sunday morning. We are a family of believers from different ethnic backgrounds, who share a common faith in God and a living relationship with Jesus Christ. We belong to Baptists Together and the Evangelical Alliance and are part of the London Baptist Association. See who else we support on our Global Missions page.